Nature Magnified: Butterfly, Moth or Butterfly-Moth ? Butterfly, Moth or Butterfly-Moth ? Yesterday in broad daylight, I came across this nice looking "butterfly” and took a few images of it. Having got enough details in my images, I set about trying to identify it in my butterfly field guide. However, none of the descriptions or images matched with the image I had obtained and I was flummoxed trying to identify this specimen. I finally sent it over to the experts on a web forum dealing with butterflies and pat came the reply. This fellow originally even had a few experts confused. That's because it is a butterfly-moth. Technically it is a moth that resembles a butterfly! 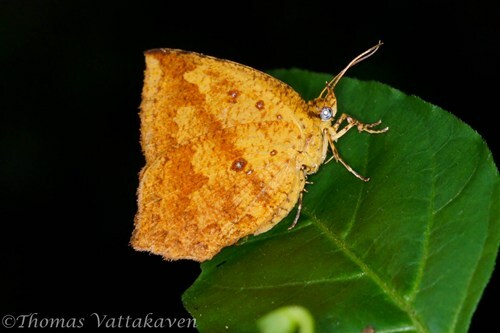 So, what exactly are butterfly-moths? To understand that we first need to understand a few generic differences between a butterfly and a moth. To start with, butterflies are mostly diurnal (active by day) while moths are nocturnal (active at night). 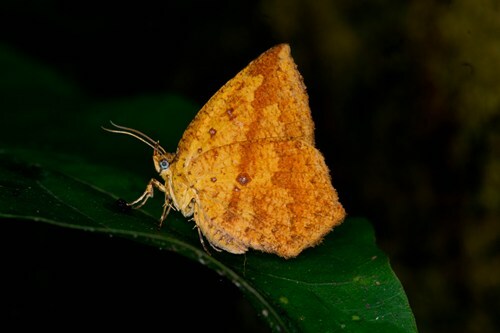 While moths prefer to hold their wings flat against their body or spread out towards the side, butterflies generally hold their wings upright and folded together (unless sunning themselves). The moths generally also have thicker bodies and are duller in colouration compared to butterflies. Although there are exceptions to all the above, these characters can generally be used to differentiate a moth from a butterfly. So you can see why I would have considered the above specimen to be a butterfly. However, there is one feature which should have given it away. 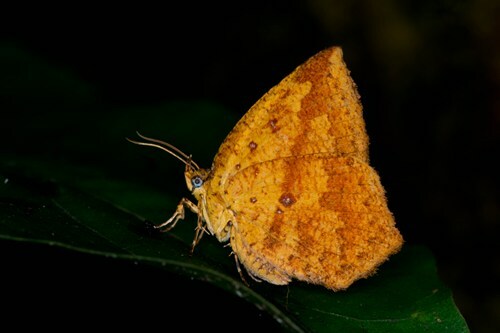 While butterflies almost always have a long antennae that end in a club shaped structure, the moths generally have a feathery antennae or antennae that are long and thin like the butterfly but don't have clubs. As you can see, my specimen had its antenna long and thin, but without clubs, which makes it a moth. 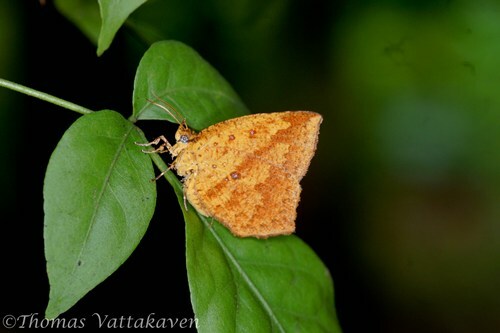 Now, coming back to the original question – what are butterfly moths? Simply put they are moths that resemble butterflies. 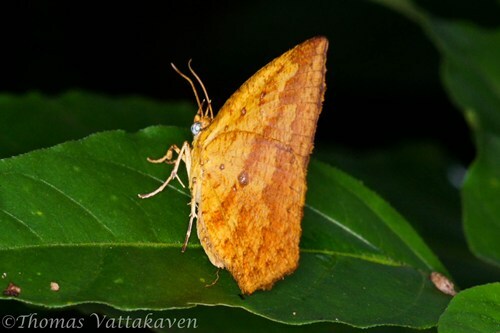 These old-world butterfly-moths belong to the superfamily Callidulidae. The individual featured here is most likely a Tetragonus catamitus. They resemble the Lycaenid family of butterflies and are thought to be closely related to other butterfly superfamilies. 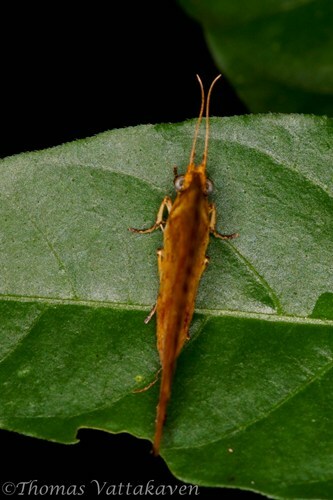 Anyway, the next time you come across such a specimen, be sure not to be fooled by its butterfly-like looks!